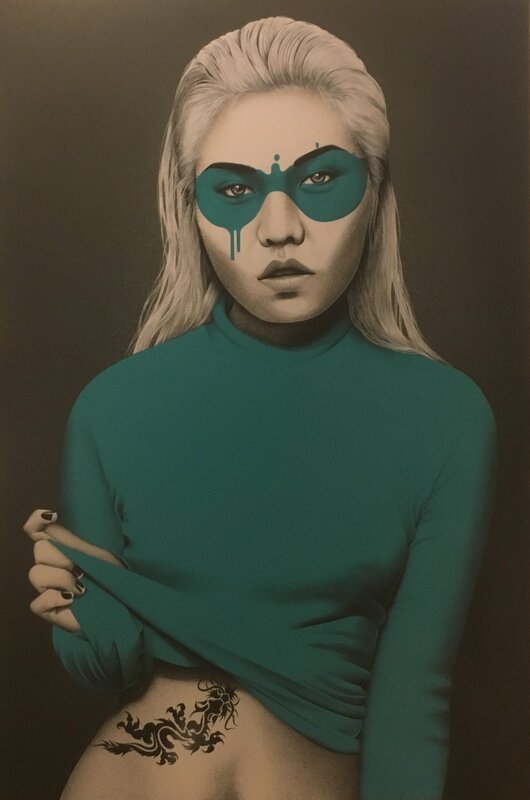 FinDAC is known for taking a new turn on 19-century art movement The Aesthetics. He believes that art should not be political or social, but rather to bring beauty to the world. His murals depict beautiful women, with eye masks, who wear gorgeous clothes and elegant makeup. He named his style Urban Aesthetics, in which he combines modern urban stencil art and the traditional art of portrait.